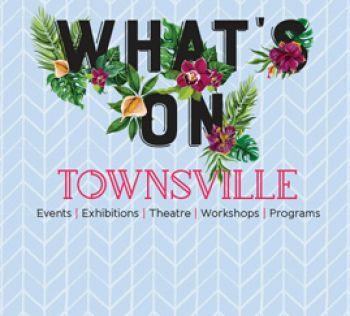 Townsville City Council understands the hardships residents are going through after the floods. To help in this recovery period the recent rates and utility charges due date has been extended. The extension include rates for residential and commercial properties. All Ratepayers due date is now Thursday 4 April 2019. Council is working with the Queensland Government to provide extra support to ratepayers directly impacted by the recent floods and will announce any further measures as soon as possible. If any ratepayers have been severely impacted by the floods, and experiencing financial hardship, please contact Council to discuss individual payment plans on 13 48 10. Residential property owners receive rate notices twice a year, usually in February and August. The rates notice includes both general rates and utilities charges (water, sewerage and rubbish collection). The notice issued in February covers half yearly rates and charges for January 1 to June 30 and the notice issued in August covers half yearly rates and charges for July 1 to December 31. A 10% discount applies to the general rate component of the rate notice if paid by the due date. You can pay now or later, in person or online, in installments or with a little extra help. Did you know you can pay your rates throughout the year? You can make weekly, fortnightly or monthly payments via BPAY. Divide your yearly amount into smaller, more manageable amounts to make payment easier. Just use your BPAY biller code and reference number to make your payment. Please note - Any customers wanting to register for the first time will need to wait until your rates notices are received in August 2018. Everything you need to know about rates and charges, including change of postal address. Council approved the 2018/19 Operational Plan and Budget on Tuesday 26 June 2018. The 2018 Water Opt-in period has finished. The next Water Opt-in period will be advised of in 2019. Did you know that you can choose how you're billed for your water? During the Water Opt-in period, you can decide which water plan works best for your household. There are two water billing options to choose from: the Standard plan and the Water Watchers Plan. You will be allocated 772kL of water for $769 per year. This is split in two equal parts and charged over two rates notices each financial year. If you use more than the allocated 772kL, you will be charged $2.94 per kilolitre as an excess water charge. You will be charged a service connection fee of $351 per year. This is split into two equal parts and over two rates notices. This is $175.50 for six months. Your actual water use on the Water Watchers Plan is billed at a lower rate - $1.41 for every kilolitre of water you use. Which plan should I be on? If your water use is low (under 297 kilolitres), you will benefit from being on the Water Watchers Plan. Are you a water watcher or waster? Regularly checking your water meter will help you work out how much water your household uses. Check Your Water Meter Day is held on the 14th day of every month. Keep an eye on your water use by using our simple water monitoring chart and tips for saving water at home. How do I change my water plan? You can change your water billing plan online or visit our Customer Service Centre at 103 Walker Street, Townsville City during the annual opt-in period. Remember, you will need a copy of your last rates notice in order for us to help you with changing your water billing option. If you purchase a new property outside of the Water Opt-in period, you will have four weeks from the date of receipt of invitation to change to submit your request to change water billing options. Any change will be effective from the first meter read after the date of transfer. New residential purchases can opt-in here. Note: The charge for a vacant land service is also $351 per year. For more information see our Common Water Questions page. Trade waste customers are levied trade waste charges in the twice-yearly rates notice. In accordance with the Local Government Regulation 2012, Concessions may apply for general rates, water and sewerage charges to certain organisations as set out in the council’s Charitable and Community Organisation General Rates and Utility Charges Policy and Concessions Schedule. Details of application requirements can be obtained by phoning the Customer Service Centre on 13 48 10. Townsville Water and Townsville Waste Services are commercial business units of Townsville City Council, responsible for providing water supply, wastewater, solid waste and recycling services to the Townsville area. Find out more about Townsville City Council's Customer Service Standards. Townsville City Council has partnered with Collection House as a reliable third party debt collection agency. Collection House’s core business is providing debt collection, receivables management and legal services. They are a public company listed on the Australian Securities Exchange. Collection House focuses on maintaining the highest ethical standards and a strong culture of compliance. If you have been contacted by Collection House please coordinate your recovery directly with them. For any further enquiries contact Council on 13 48 10.